Endeavor to supply our clients with the best available products at the most competitive rates. Promise to provide our clients with the best service available in our industry. Solemnly guarantee to maintain the highest level of honesty, integrity and openness. Be determined to provide the complete solution in the corporate environment. Management Electronic Systems was founded on 1 August 2009 by our C.E.O Jaco Mostert along with five staff members. We have since grown to over 120 staff members, each year breaking and setting new records and standards in the telecommunication industry. We are proud to say that we have more than 100 years of combined experience in the telecommunication industry. Our C.E.O implemented the first “off net” voice over internet solution in Pretoria in 2004. In 2014 we were the first telecommunication company to successfully launch a fully wireless VOIP solution. Many telecommunication companies followed suit. Since we have entered the market we received many accolades including four achievement awards, one golden award, two platinum awards from Samsung South Africa as a Telecommunication Service Provider. 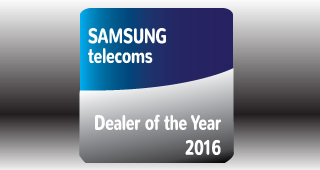 In 2016 Management Electronic Systems won the South African partner of the year award from Mia Telecoms, the sole distributor of Samsung PABX Products in South Africa. Our vision is to become the biggest independent VOIP provider in South Africa and maintain valuable business relationships through unfaltering service and quality excellence and always be at the forefront of new technology and development. Keep on investing in people not only our client base but also employees who strive to deliver only the best quality of service. Our team our members at ME Systems is dedicated to assist you. Feel free to contact us.